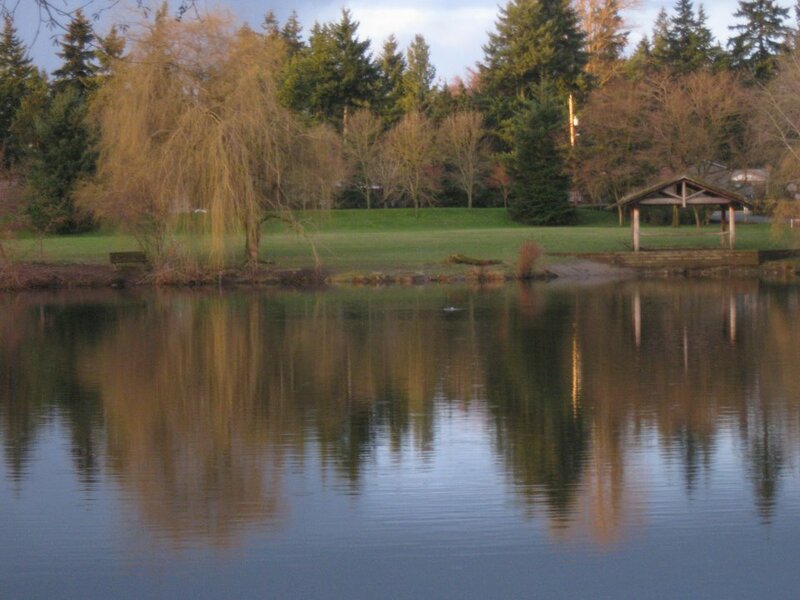 The City of Shoreline and Sound Transit are proposing that the main meadow and portions of the lake of Ronald Bog Park be converted to a protected wetlands area with restricted public access. the shelter by the lake being moved and rebuilt. The Rotary-planted tree Arboretum on the east side of the park would remain accessible, and new walking / running trails might be built on the same side of the park, parallel to I-5. The proposed change to Ronald Bog Park is due to Sound Transit locating wetland mitigation there to replace wetlands being disturbed / removed near the fire station in 155th related to the elevated guideway. City of Shoreline residents are encouraged to attend a public meeting on this topic, to be held in Shoreline City Council Chambers on April 13th, 7pm-8:30pm, at City Hall located at 17500 Midvale Ave N.
I think the idea that we can move wetlands shows our fundamental ignorance. How about we quit disturbing wetlands and instead learn to live with them where they naturally occur?